Andriievsky, Dmytro [Андрієвський, Дмитро; Andrijevs'kyj], b 27 September 1892 in Budky, Poltava gubernia, d 30 August 1976 in Dornstadt, West Germany. Political activist and publicist, engineer. Andriievsky was secretary of the Ukrainian National Republic diplomatic mission in Switzerland (1919–20) and subsequently head of the Ukrainian Committee in Belgium. He was a member of the first Leadership of Ukrainian Nationalists (1928), a participant in the founding congress of the Organization of Ukrainian Nationalists in 1929, and served afterwards in the OUN (Melnyk faction) leadership, in charge of external contacts. In 1944 he was imprisoned in the German concentration camp at Brätz. In 1948 he became a member of the Ukrainian National Council and of its executive organ; he also served as its state controller. He was head of the senate of the OUN (Melnyk faction). 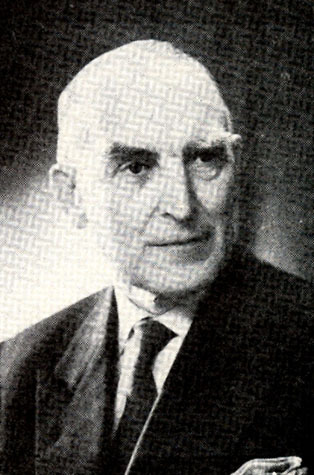 Andriievsky wrote articles on the ideology of Ukrainian nationalism and on Ukrainian foreign policy and is the author of Rosiis'kyi koloniializm i soviets'ka imperiia (Russian Colonialism and the Soviet Empire, 1958).